Nicholas (Nick) is a barrister practising from Edmund Barton Chambers in Adelaide and regularly appearing in Northern Territory courts and tribunals. He is an accredited Mediator, graded Arbitrator and an Adjudicator registered under the Construction Contracts (Security of Payments) Act (NT) and accredited under the Building and Construction Industry Security of Payment Act (SA). Nick is admitted as a barrister of the Supreme Court of South Australia and New South Wales and a solicitor of England and Wales. Prior to joining Edmund Barton Chambers, he gained experience in complex international and domestic construction disputes whilst at the New South Wales Bar and with the law firm, Allen Allen & Hemsley, Sydney and later Clifford Chance, London. Before commencing at the South Australian Bar in 2003, he was part of the Secretariat for the Claims Resolution Tribunal, Zurich, where he adjudicated claims filed against Swiss bank accounts in connection with the settlement agreement reached in the Holocaust Victims Asset Litigation in the United States. 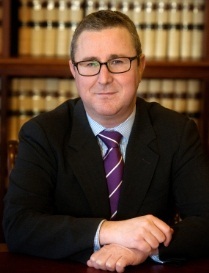 Named in the 2010 and 2012 Editions of Doyle’s, as a recommended Junior Counsel of the South Australian Construction Bar, he specialises in the law and practice of alternative dispute resolution and has particular experience in commercial disputes involving engineering, construction and infrastructural projects. Nick’s practice also extends to other aspects of civil litigation including insolvency, contracts/equity, insurance, torts, property, corporations, administrative and corporations law.